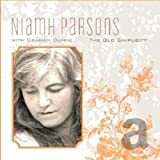 Niamh Parsons (born in Dublin, Ireland) is a singer of contemporary and traditional Irish music. 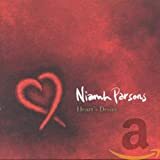 Niamh Parsons started her professional career in 1990, in Belfast. Having been singing at sessions around Dublin, Niamh first joined the band Killera from 1984-89. Joining her husband Dee with his band the Loose Connections in 1990, Parsons released two CDs with this band. 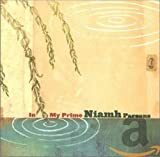 Since then she has toured extensively in Europe and the USA with the Loose Connections, the traditional group Arcady and with Dublin guitarist Graham Dunne, with whom she has been playing since 1999. She has also appeared solo at many festivals and venues in Ireland, USA, Italy, Denmark, Holland, Spain, France, Germany, Switzerland, Austria, Belgium, Japan and Great Britain. She was asked to play before President Clinton and Irish Prime Minister Bertie Ahern in Capitol Hill, Washington. She has also made several appearances on the Irish TV station RTE. She has released eight albums since 1992. Her 2002 album Heart's Desire won the 2003 Association for Independent Music award.